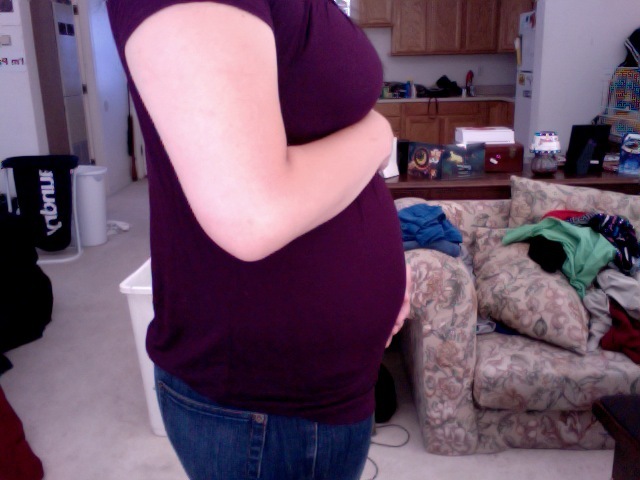 17 weeks and still cooking. haven't had morning sickness in about a week -- thank you very much -- but i can expect some craaaazy heartburn and indigestion about an hour after i eat anything. no more bloody noses either, which i appreciate. supposedly the second trimester of pregnancy is when you have more energy, but i still feel exhausted and ready for a nap ALL. THE. TIME. i haven't felt you move yet, but any time i'm laying still i concentrate on the feelings in my belly and hope that i'll feel little flutteries soon. nonetheless, i know you're still growing and developing because i get some awful ligament pains in the bottom of my belly at the end of the day, and that wouldn't happen unless you were getting bigger. 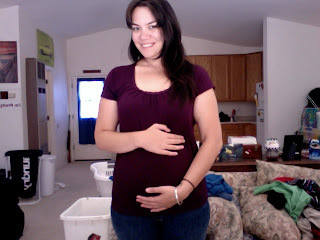 23 more weeks (give or take!) until i get to meet you. xo.